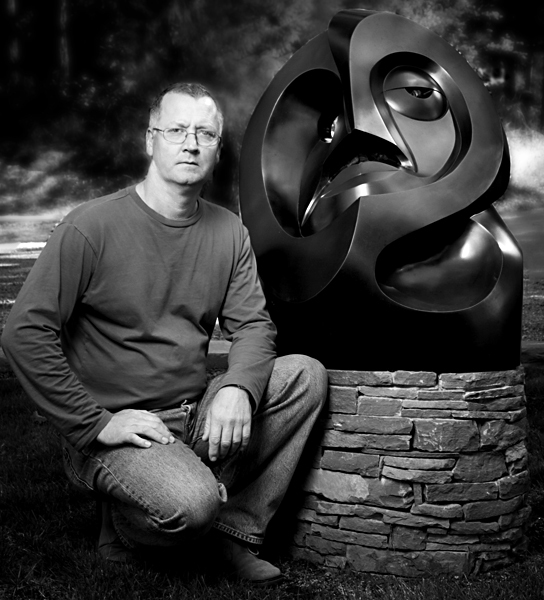 Morley Myers, as a self-taught sculptor, you have been working with stone since 1991. One of the most common purposes of sculpture in history was some form of association with religion, or an expression of politics. Why do you choose to create sculptures? Morley Myers: I started sculpting as an unconscious attempt to explore my self. I hate to call it ‘art therapy’, but it does have that quality at times. What I do would be a combination of religion, and possibly gender politics as well as the broader form of community or national politics. In your mid twenties, you were enrolled in the Humanities program working towards a degree in social studies. Morley Myers: We all had to take classes in Ethics, Political Science, Sociology etc, and I chose to also do a class on Religion – is there a God or a proof of divine existence, that sort of thing. It all fed me well, giving me a lot of grist for what I have come to do later in life as an artist. Over the years I have done bodies of work investigating my relationship with God or a spirit world. Another body was investigating the relationship of spirit and sexual identity, or the lack of. My ideas of what it means to be a man within the constraints of our culture, or my thoughts on this push to have our own children and what it might mean to be a woman or a man desiring to have children. Human experiences as the basis of your work? Morley Myers: Indeed. These explorations have helped me to get an understanding of some of the cultures that influenced me, for instance First Nations art from all around the world. Do you find that the process of creating can be an end in itself? Morley Myers: Absolutely. There is a joy that is difficult to explain, that you experience when you are in the groove. Once you have experienced this ‘bliss’, you tend to chase it. It is possibly one of the closest things to a spiritual experience I know. In a way, it has become an obsession for me – with the next piece being the cure. When I had the opportunity to visit your studio, I had the impression that your work evolves from a direct encounter with the material itself. You told me that you often start with the fault line or some other perceived defect when creating a sculpture from a raw block of stone. Why? Morley Myers: Yes, it is a questionable approach to engage the faults and then move with the dialogue from there. This approach is something I tend to do when I am stuck, when the flow has stopped or when I am forcing my will and it all grinds to a halt. At times I have taken a piece of stone and saw large cuts in it creating a challenge that helps move beyond the impasse. Similarly our relationships with others often are deepened when we experience the imperfections of ourselves or others, creating new directions and understanding. Do you prefer subtractive carving techniques – when removing material from an existing block of stone or wood – or rather modelling techniques to shape or build up your art from the material of your choice? Morley Myers: When I started sculpting, it was to some extent a reaction to what I was doing as a builder. I had been working for years as a carpenter and found little to no outlet for my own expression as I was building other people’s dreams. I also wanted to get away from the noise of the power tools that I was using all day long, so I started working with hand tools on soft stone, moving slowly and quietly towards my own inner vision. I worked subtractively for sometime, then slowly introducing power tools as i began to see the images quicker and wanted to speed up the process – ironic, isn’t it? It took me about 10 years before I was comfortable enough to move onto modeling or additive work. Starting with foam and plaster, then moving into steel assembly work. Does additive work feel different to you? Morley Myers: There is a wonderful freedom with additive work. You can continue to work and rework the image, adding and or subtracting at will. This is very different to stone work where you can also rework a piece, but it will get smaller and smaller until you end up with a pile of dust. Both techniques work for me at this point and I find myself comfortably moving between them. 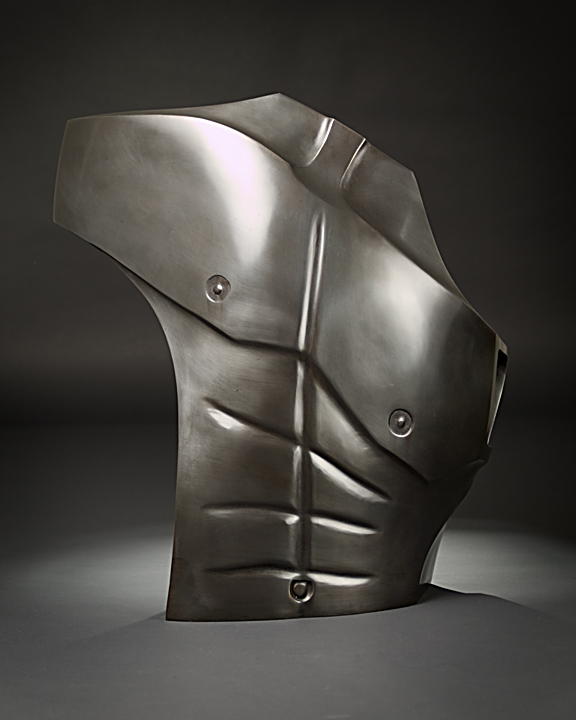 For a sculptor, the classic materials with outstanding durability are usually metal, especially bronze, stone and pottery. What ways and materials do you seek to make art? Morley Myers: I work in stone, foam, plaster, wood, steel and bronze. And as I mature, I see the possibilities of other materials or dimensions, having done a body of second work playing with colour and texture a few years ago. As an artist who is interested in exploring ideas you are not limited. We can go back to the likes of Picasso who did it all. He helped to set us free. It has been said that ‘your work is meticulously composed, but open’. How would you describe your style? Morley Myers: Interesting – I find this description both flattering and mildly confusing. I personally would describe my style as direct and strong, almost a 3D form of drawing. What I do is definitely meticulous as I come from a line of perfectionists. So when we set ourselves to a task, we look closely at the details. I have a difficult time with ‘wishy-washy art’ – by that I mean art that doesn’t say anything or is too soft and round. I like sharp lines and clean intersecting planes. As far as the statement goes that my work is trying to project – I like that to be clear, however this is where the “open” part might come into play. Since my statements tend to be about our human experience, each viewer will respond to it with mild to massive shades of difference. When I travelled through the Netherlands last year, I visited the sculpture garden of the Kroeller-Mueller Museum in Otterlo, which opened in 1961, and has since become one of the most renowned in the world. Situated on carefully chosen spots on 25 hectares of woodland, sculptures ranging from work by Rodin to that of contemporary sculptors can be enjoyed by visitors. Where in North-America, do you think, come visual art, nature, architecture and garden design together in perfect harmony? Morley Myers: I can’t come up with one place that is the ultimate, rather many possibilities. I am a country rat by nature and have never been overly comfortable in large cities, so my preference would be something in nature, preferably something here on the west coast. I have seen wonderful sculpture ‘gardens’ in city landscapes as well in the country, above ground and below water. I do not think it has to be limited to one place or type of environment, be that urban or rural. But there needs to be an openness to the experience, to both the art and place. Your career is long and eventful – what influenced your evolution as a sculptor? Morley Myers: Living within a community of artists here on Salt Spring Island in British Columbia, has had a large impact on what I do and who I have become as an artist. – Firstly, when the mystery of being an artist was dissolved, closing the gap between artist and mortal. – The opportunity to see things differently and to start engaging within the creative process with endless encouragement. From here the art world started to open to me and fearlessly I stumbled into it (and for the most part continue to). – Meeting new artists who point me in different directions, giving me new views of the world and other voices to investigate. Within this ‘one-foot-in-front-of-the-other-approach’ there have been satori moments, awakening moments. Like the ‘Aha-effect’ when something becomes clear. For instance when a friend invited me to watch a movie showing Picasso in motion and I was watching Picasso’s creative process flowing through many possibilities until there was this sense of completion. This is the moment of freedom I spoke of earlier. Who of the following artists has inspired you and why? 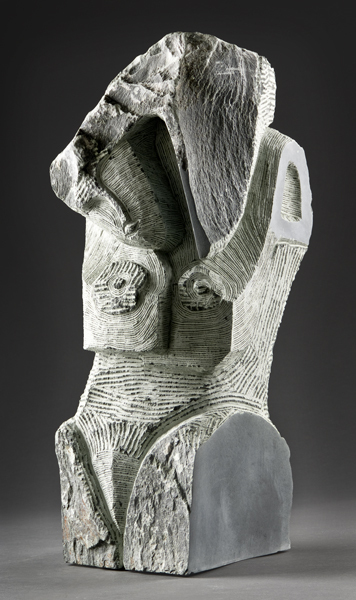 Barbara Hepworth, Picasso, Henry Moore, Jean Arp, Marta Pan, Constantin Brâncuși or Henri Gaudier-Brzeska. 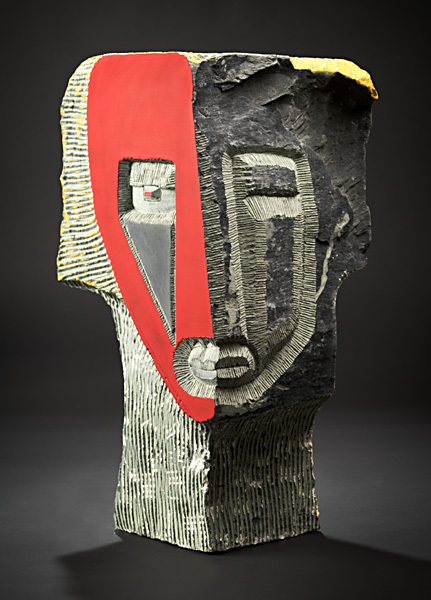 Morley Myers: Of these artists, my primary influences are Barbara Hepworth, Henry Moore, Picasso and Constantine Brancusi. It is hard for me to separate Hepworth and Moore as their work was very similar on many aspects, eg their explorations of space or void, or the same sense of flow and statement. 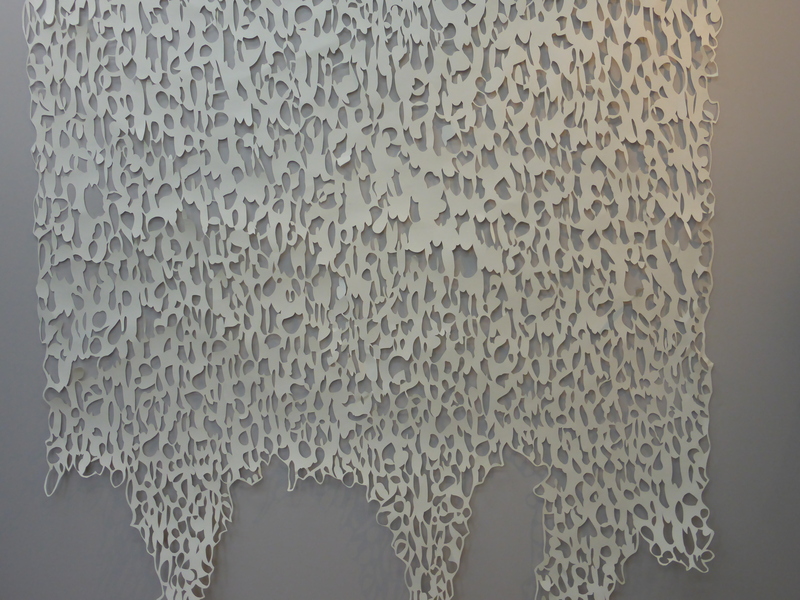 Their work gave me an understanding of negative space or void. Picasso demonstrates the freedom to explore dimensions and materials, the easy flow from 2D to 3D and back again, often within the same piece of work. Brancusi is the start of the language all the moderns base their work on. His break from Rodin and access to the influences that were coming out of Africa at that time were the start of the language that my work is based on. 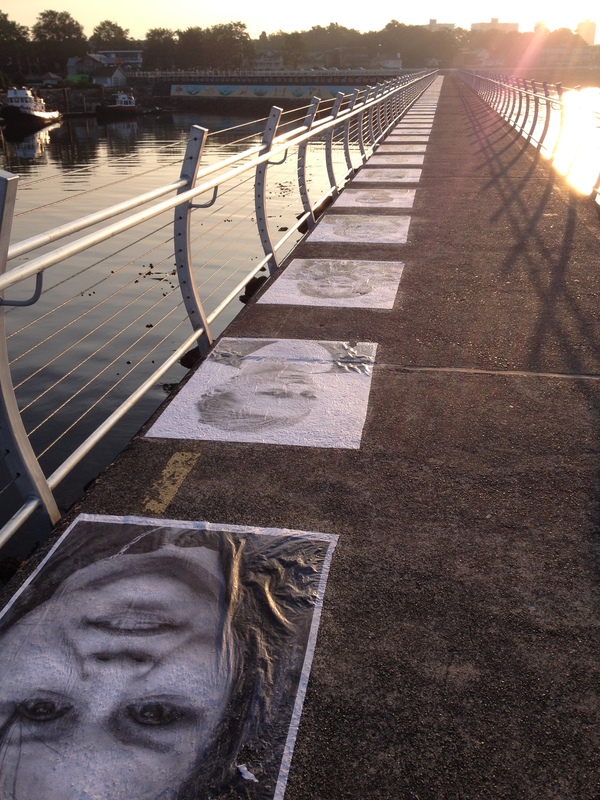 How do you see and understand public space and the role of art in public space? Morley Myers: I think that public spaces can do many things. They can open our eyes to different ways of seeing the world and our place within it. Don’t they represent a chance to explore ourselves and others through many forms of art? As they provide a space for artists to realize their visions, they give space to their voices. Public spaces also create an opportunity for us to experience beauty for its own sake or give a visual voice to the injustices that surround us. These parks can also reintroduce us to the natural world that we are apart of or re-frame our urban environments so that they are no longer just a place of survival or opportunities to merchandise. We can regain a sense of who we are as a species in relation to our environment. They can create an opportunity for profound change or simply function as a great place for family picnicking. How do you deal with issues surrounding your art involving interior and exterior, solid and void, time and space, weight and weightlessness? Morley Myers: I don’t give much conscious thought to these issues, I rather feel or intuit. It is similar to knowing when you are finished with a piece – there is a sense of completion, a feeling similar to a satori moment. A recognition from within. Morley Myers: At the moment I am looking at the next phase of my career as I am soon to be 60 years old and looking at who I am or becoming. I am experiencing big life changes. My father, 90, is in the throws of Alzheimer’s and will soon be gone. This is a big moment in our lives, the loss of a parent, which forces deep reflection. It is in a way bringing me closer to my family, giving me a sense of continuity as I experience or visualize my father throughout the time frame that I have memories of him. I have been very unsettled by this experience as this last part is bringing my own demise well within view. I have a keen sense of how much time I have left, wondering what I will do with it. I also have a much better understanding of my connection to all things at this point in my life. A wonderful place to be as it provides an endless realm of possibilities to create from. Daniela Herold: Morley Myers, thank you very much for sharing your thoughts with my readers. 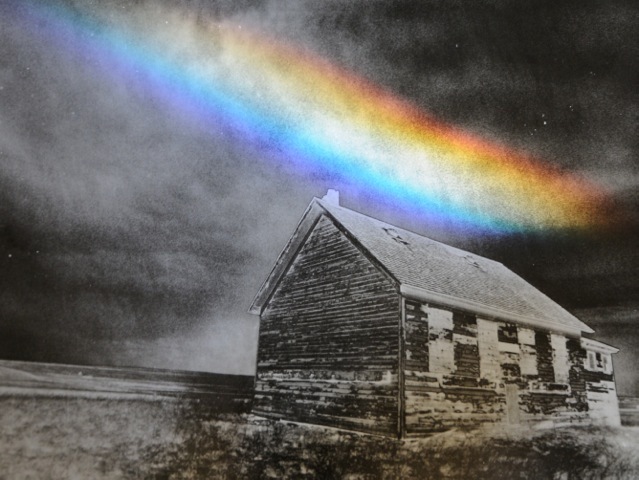 Morley Myers was born in Saskatoon, Saskatchewan in 1956, and grew up primarily in the Medicine Hat region. A self taught sculptor, Morley has been working with stone since 1991 and has been involved in exhibits on the west coast and has displayed in galleries in New York, Vancouver, Victoria, Tofino, Salt Spring Island, Calgary, Winnipeg and Medicine Hat. CONTACT: Studio – Open 11 a.m. to 5 p.m. or by appointment. I’m happy to report that my oil painting “Lumens” was selected to be part of the Annual SOOKE FINE ARTS SHOW. The Sooke Fine Arts Show provides the opportunity for the finest artists from Vancouver Island and BC’s coastal islands to showcase and sell their work. The Show, coming into its 29th year, is Vancouver Island’s longest-running juried fine art show and the Island’s premier summer arts event. The 11-day art show and sale draws more than 8000 art lovers from Canada, the US and abroad. More than 375 works of original island art are on display in a stunning, 17,000-square-foot gallery at the SEAPARC complex on Sooke Harbour. As I have had the wonderful opportunity to be working with Noah Layne, the founder of the Academy for Realistic Art here in Victoria, over the course of the last 2 years, I will be holding an artist’s talk about a topic close to my heart at the Sooke Fine Arts Show on Tuesday, July 28, 1-2 pm. Noah Layne is an amazing painter and teacher who has inspired many of his students. Here is a glimpse of my upcoming interview with Noah Layne this Fall. Emile Zola once said: “The artist is nothing without the gift, but the gift is nothing without work.” Would you agree? In what way were you influenced by such painters as Sargent, Rembrandt or Wyeth? Noah: I was influenced by these painters by the beauty of their work. The truthfulness of their work, both in technique and in how they followed their heart and soul in painting things that moved them. You started painting by copying Rembrandt and Winslow Homer paintings when you are just 10 years old. Did you get any guidance when you studied various painting techniques at such a young age and if so, by whom? Noah: No, just looking and thinking myself. Why do you believe in the importance of working from life? Noah: When I am working directly from life I get to experience whatever I am painting first hand – not filtered by anything other than my eyes and brain. For me, my art has always been focused around the ability and experience of sitting down, and drawing something and making it look like the thing I’m drawing. That magic of creating a realist image just with your hands, a pencil and your brain. I think it’s a pretty magical thing. What is your advice to art students when it comes to practice? Noah: My advice would be to figure out what moves you in art and then go about learning the techniques to make the art you want to make, much like playing music where to express yourself well, you have to learn to play your instrument well. In traditional art, learning technique allows you to then say what you want to say. Greg Klassen has focussed his artistic attention and intention on the exploration of personal identity formation. This series of portraits in landscape form – “Who?” – is constructed from perceived fragments of identity through extensive dialogue with mostly fellow artists from Canada. The project interrogates not just how subjects see themselves, but how and if that sense of self-perception can be conveyed to an audience in the form of a non-linear narrative through photography. The complex constructions of a person’s self are built up from anywhere between 30 and 300 separate photographs. 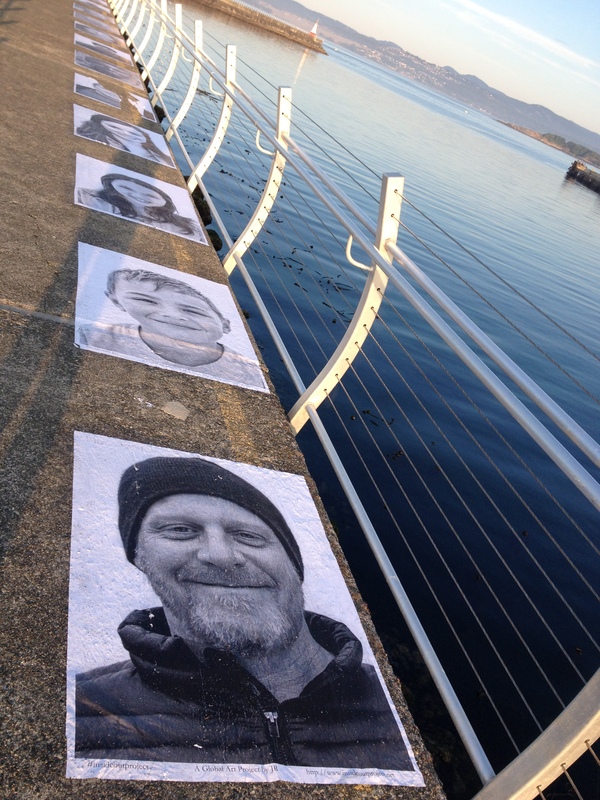 Greg, you are a Marine Biogeographer and artist, who has been dealing with Asperger’s syndrome your whole life. Even though this diagnosis poses a daily challenge for you when it comes to social interaction – and we will talk about this later on – you are always looking for ‘new victims’ for your lifetime project, called ‘Who’. What direction do you take when trying to get to know them? Greg: There are 2 important questions that meet at the centre of the project: ‘how is it done?’ and ‘why is it done?’ I always ask ‘why?’ when I approach any project. For me that question drives everything else, including the ‘how’. Greg: My lifetime project centres on our very poor understanding of intentionality, of why the very notion of defining and projecting an identity separates self from other, and how we go about making that happen. Your series focuses on interrogating identity. As identity has a personal and a social component, do you approach this topic from a philosophical as well as a psychological angle? According to Descartes’ philosophy, mind and body are distinct. Descartes’ thesis – now called “mind-body dualism” – basically claims that mind and body are separate. His thesis is based on the notion that the mind consists of the spiritual essence whereas the body consists of the physical one. As a scientist, do you buy into the idea that both entities are completely separate? Greg: Yes, Cartesian dualism – also know as substance dualism – has, for several centuries now, been at the heart of this debate surrounding the relationship between mind and body. But since Descartes most philosophies have rejected dualism in favour of Idealism (simplistically: all mind) or materialism (simplistically: all body). The notion of self, as I am exploring it, is caught squarely between these poles. You ask me where I stand on this debate “as a scientist”. But I am both scientist and artist – and many other things. I do believe that, both as scientist and artist, it is my responsibility to question. I believe that art, my art at any rate, needs to contribute to the debate in such a way as to challenge anything that may smack of entrenched perceptions. So, no, as a matter of philosophy, I do not ‘buy into’ Cartesian dualism, but neither do I accept, uncritically, its so called alternatives: I find myself in a philosophical in-between space. There has been a trend to reinterpret ‘identity’ to be synonymous with ‘cultural identity’. Why have you focused your artistic intention on the exploration of personal identity? Greg: This claim – of identity being culturally derived – is at present most closely associated with post modernist ideologies but has roots that tie it strongly with the Idealist camp in the mind-body debate. Given what I said before, I am inherently sceptical of this proposition as a blanket statement. But I have also found myself at odds with the claims that identity is entirely, or even primarily, socially/culturally constructed for very personal reasons. Given that scepticism, it seemed a natural step for me to start my explorations of identity at first principles: with the individual. You say that you are good talking to people, but not good talking with people – non-verbal cues go right over your head. Why is it difficult for you to read body language? Greg: Well, that ties in with my personal reasons for wanting to research identity issues as an artist. I’ve known all my life that I was somehow different from the people around me. I was always missing things socially, misunderstanding people, having difficulty connecting with others. I had what one of my closest friends referred to as a serious case of “foot-in-mouth-disease”. It turns out – much to my relief – that I’m not simply some insensitive jerk who refuses to conform to social norms. Fairly late in life, I was diagnosed with Asperger’s Syndrome, also known as High Functioning Autism. So what would be the main issue arising from this diagnosis that is relevant to our discussion? Greg: We are dealing with a neurological condition that adversely affects the normal brain functioning that allows for the automatic, non-conscious recognition and response to typical nonverbal social cues. Meaning that dealing with Asperger’s syndrome poses a daily challenge for you when it comes to social interaction. Tell us a bit more about the issues you are facing as an artist with Asperger’s. Greg: Generally speaking, the most important issues relates directly to the notion of empathy, which for the purpose of this discussion is simply an expression of the ability to connect, non-consciously, through non-verbal communication with other individuals. People, like myself, with neurological conditions on the autism spectrum tend to have varying degrees of impairment when it comes to empathy. The main means of accessing this ability for someone like myself is consciously, much like learning a foreign language. And that is the first aspect of what I do when exploring the perceptions of my subjects regarding their personal identities through the “Who?” project: learn their individual language(s) of ‘self-construction’ through intensive dialogue. Postmodernism often explores or celebrates a sense of cultural dislocation. What do you mean when you say that having a neurological makeup like Asperger’s means that there is no native culture, any social condition is – a priori -, one of dislocation? Greg: I think the best way to answer that is through the ‘foreign language’ analogy I mentioned earlier. Most people grow up with one – native – language, one culture, and each new one added to our experience is measured against that first one – and is usually found lacking. In a sense, cultural dislocation derives from the failure of the new language/culture to integrate into our – already fully developed – sense of identity. A new language, especially if learned late in life, almost never develops to the same level of fluency as that first language. Greg: That is correct. In that sense each new culture is just like a new language to the average person. Part of that dislocation experience thus comes from the fact that empathy – the specific form non-verbal communication takes as we mature – is honed, and fixed, in that first cultural experience. Because of my distinctive neurological makeup that honing process apparently never fully took. In a very important sense, those such as myself don’t appear to develop a fixed, native language/culture against which to measure new cultural experiences, thus dislocation is perpetual. Has this lifetime project become a way for you to understand people better? Greg: Yes and no. This is one of those situations that has led me to realize just how problematic the postmodernist perspective on identity is for the neurodistinct. The chief effect of the postmodern cultural construction of identity is that postmodernists have largely seen the ‘self’ as something completely pliable and thus moulded through society. In the postmodern view, identity, if it can be said to exist at all, becomes a matter of conscious choice. But we now understand much more clearly, thanks mainly to the recent efforts of neuroscientists, that for the neurologically distinct, there is no such choice. But postmodernist thinking cannot accommodate the genetically based innateness of neurological distinctness. Neurological conditions, such as Asperger’s not only severely restrict such freedom, they are philosophically – and empirically – incompatible with constructivist thinking. What does that mean for your artistic research? 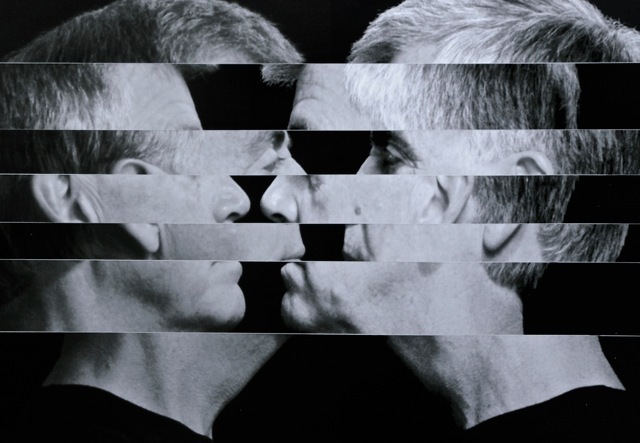 Greg: When I explore how my identity formation is constrained – by my neurological condition for example – I also provide a case study for the need to reinterpret the perspectival bias that postmodern ideology has imposed on our thinking for far too long. In that last sense my answer to your question can be a guarded and provisional yes: a new form of understanding others emerges from this project. For you, the camera is secondary. You said that you never pick up the camera during the first phase as you photograph with your brain. And you pay particular attention to repetition during the interview. Why is that? Greg: That’s actually two – though ultimately related – questions: my relationship to the camera and my relationship to the subject: Although procedurally the camera is definitely ‘secondary’ – I see the camera as a way to realize my vision not as a medium that constrains my process – photography, as concept, is a very active participant in my research. Photography, often seen as incapable of conveying narrative content, provides a direct analogue to the social ‘disability’ of a ‘neurodistinct’ person such as myself. The camera is not simply my tool of choice, it is an extension of my sensory system. The question of repetition is strongly informed by the fact that I tend not to ‘think-in-words’. When people repeat certain specifics about themselves that tends to be a clear indication – usually non-conscious – that they consider that, whatever ‘that’ happens to be, to be of particular importance to their self-perception. To fully assimilate what people tell me, I must ‘translate’ from words, from language, to my personal symbology. Here repetition, especially with slight contextual modifications – served to refine the signal to noise ratio, to clarify my understanding of what is being communicated. When looking at your work, the observer sees a whole of fragmentary images – the make up one human being after months, sometimes years, of getting to know them. As a scientist, you are gifted with a special pattern recognition for small details and the ability to put them together compositionally. 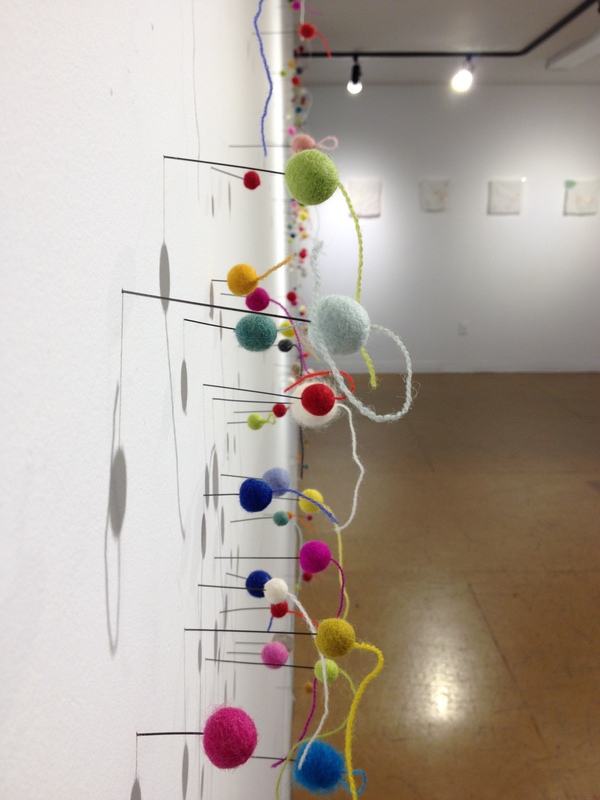 Is this how you create order out of chaos in your science as well as in your art? Greg: Yes, pattern recognition – especially spatial pattern recognition – seems to be a great strength of mine. According to all psychological tests I’ve been subjected to, I score off the charts on spatial tests. Apparently that is one of the silver linings in my Asperger’s cloud. But how that translates to me ‘as’ scientist or artist is less obvious. First, I would say that I don’t ‘create’ order out of chaos. If anything, I just see the patterns underlying some form(s) of order more clearly than others apparently do. But to me ‘as artist’ – I hate having to make these qualifications all the time – what is most intriguing is that – if we assume that the so-called fragments of an identity represent chaos – I seem to be able to sift out the pattern from that apparent chaos, but the ‘order’ – the empathic reaction to a perceived ‘whole’ that is the goal of the “Who?” series usually evades me and is brought to the table by my audience. In this way, my work becomes a social experiment. Your pictures do not represent photography as we know it. Every picture is the result of sometimes excruciating collaboration between you and the person you portray, showing an amazing depth of subsequent layers to the surface characteristic. As not every person will open up to you in the same way, you must allow for a difference in depth of the story-telling of your photograph? The layering – both literal and conceptual – in producing images for the “Who?” series is, in my mind, a direct reflection of how we see others in every day life. When we first meet someone we immediately form an initial, surface impression. Some aspect of that first impression is always present in the “Who?” series. As we get to know others better, additional layers are revealed. That again is reflected in the series with the addition of increasingly complex layers of relations between versions of the individual, their interactions with one another and the objects brought into the images. How far, do you think, can we go toward a ‘true’ understanding of any other person? Greg: I think that depends both on the efforts we are willing to put into the act – taking into account innate differences in, for instance, empathic abilities – and the willingness of that other to reveal themselves to us. The different depths of story-telling in different “Who?” images, as you put it, are simply a reflection of the reality that we do not get to know all people to the same degree or depth. Some of your photographs contain up to 300 images. They usually range around 30 images. Storytelling is crucial to your art: as one cannot have a narrative without a movement from a to b, would you insist on 3 images as a minimum for your picture? Greg: Ah, when you say 3 images you are referring to the number of versions/representations of the individual subjects. It seems that historically, regardless of individual photographic styles, portraits tended toward single images of a person. I wondered how one could access that person’s sense of identity from just one singular view of them – a question that has lead postmodernists to reject, wholesale, the notion of personal identity. I wanted to explore whether multiple views, multiple versions, of a person could collectively speak more coherently to this idea that we are never just one single, unitary thing and yet somehow form a coherent sense of self. Unlike the postmodernists, have you been searching for a sense of collective whole? Greg: Yes. This idea is at least partially influenced by what astro-physicists refer to as the “three body problem”. When you have two bodies – in their case, planetary bodies – you can easily calculate, and predict their relation to one another. The moment you add a third the problem becomes intractable. But at some point such systems become self-organizing – in a way that scientists understand but cannot predict to any certainty. That is order out of chaos, the idea of emergent organization. I believe that the mind, the self, and therefore our ‘sense’ of identity is such a self-organizing system. So, I tend to insist that at least three versions of a subject be used in the imagery as a way of exploring the idea that identities are emergent properties. There is only so much you can bring to the image as a viewer. In your artist talks, however, the audience learns a lot about the photographs’ background story. How important is it that the photograph stands on its own? Greg: At one level these photographs – any work of art for that matter – must be able to stand on their own, if only in the sense that they, hopefully, survive their creator. At another level no work ever does. Art can only exist, I would argue, because we are social animals. No work of art is a blank slate to which a viewer brings his/her unique perspective. When a visitor looks at one of these images, how does the narrative that I and my subject put into the image communicate and interact with the narrative that the audience constructs? In this way the series becomes a microcosm, a laboratory experiment, in the power of an image-as-mediator between personal and social narratives of identity. Telling the back-story to any specific image only takes on importance as a way to evaluate the level of connection between those two forms of narrative. In the academic arts, there is no specific truth. You once said: ‘if there is no external truth, why bother with it?’ Is there an objective truth? Greg: The idea of there being no truth, which as you said is closely tied with academic arts today, is most recently influenced by postmodernist ideology, which in turn can trace its beliefs to the Idealism of Continental Philosophy, and ultimately back to the Sophists of ancient Greece. But it is Descartes who introduced us to a crucial supporting argument that has been particularly damaging. He argued that since our senses can be fooled they cannot be trusted. Although no one would disagree with the premise of his argument his conclusion is at best faulty. Yes, our senses can be fooled but for the most part they are remarkably good at connecting us directly with a very real world. In fact, it is that sense of truth – that we all intuitively experience – that photography is so very good at revealing to us. And this relationship between our innate expectation of objective truth – of perceiving this external reality as it really is – and the unique ability of photography to undermine that expectation when it is seen to ‘fool’ us is at the heart of how the “Who?” images speak: on the one hand they feed into our expectations of objective reality, at the same time they represent a more subjective interpretation of that same reality. We are left with a paradox. Our solution can be to either simply damn the images as fakes, or to start going down a new path: that truth is neither simple nor solely external: understanding/unravelling truth(s) involves both the subjective and objective, is both external and internal simultaneously. The different images in every single one of your photographs connect because ‘they underline what connects people’. Why do you – as an artist – try to find those connections? Greg: This ‘why?’ is simultaneously the simplest and most complex and fundamental issue underlying all of my artistic research. The simple answer is this: I truly believe that these ‘connections’ are the root of what makes human beings human. The complexity comes in when one tries to unravel how that is so, how the artist in me can reveal/communicate that and, most importantly, what that has to do with personal and social identity formation and expression. During my time as an art student I became very much aware that current academic thinking on identity in the arts actively denies underlying universals, reviles the very notion of anything smacking of innateness. Would you say that you now better understand the physiological and evolutionary basis of your neurological condition? Greg: Indeed, I do. And I also better understand the profound paradox that my very existence creates for postmodernist thinking on identity. I am exploring these connections because I see them as a way out of the postmodernist paradox I, and those like me represent! I am searching for them as an artist because those influenced by postmodern thinking inherently mistrust scientific evidence. If I can make them real to my audience as an artist, I can perhaps provide a more palatable vehicle for renewed reflection on identity issues. You do repeats over months. You assemble everything at the scene. You position your camera for hours in the same spot. Can you give us a quick summary regarding the technical set-up for a shoot? Greg: I assume you are referring to the entire process not just the shoot. Making a “Who?” image is a three-step process, it involves: talking, shooting, and composing. The talking consists of a series of conversations with my subjects. 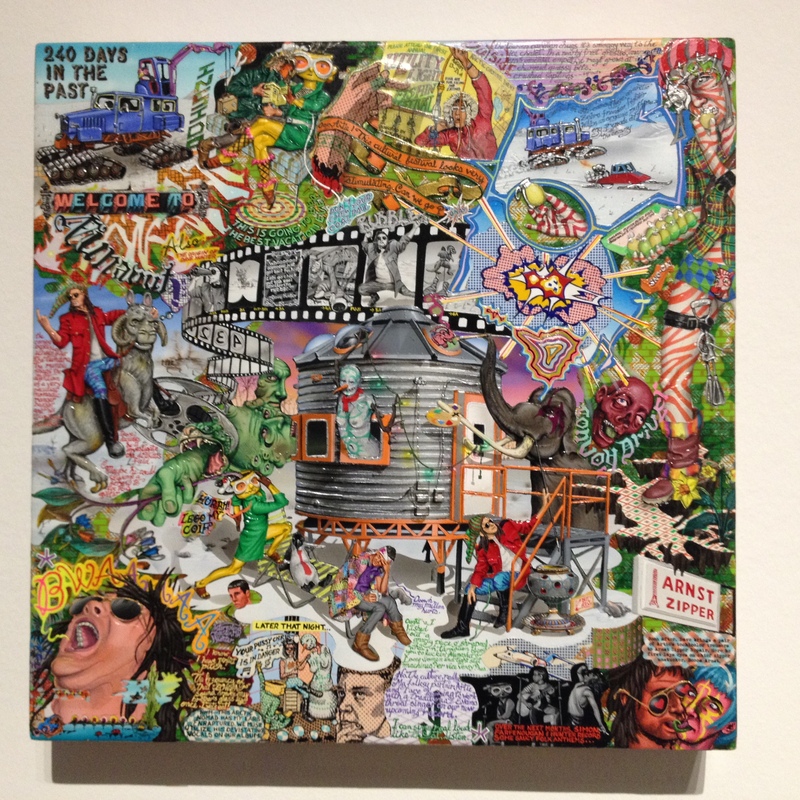 In the process I start assembling a three-dimensional jigsaw puzzle in my mind made up of pieces without fixed shapes. This is where the notion of repetition becomes important. As my collaborators talk about themselves, the picture in my mind starts to coalesce, in a way analogous to the ‘order-out-of-chaos’ notion. At some point we come to the collective realization that we have a ‘picture’ that is a good representation of that person’s self-image – or at least as much as (s)he is willing to share. Is this is the point when you prepare to shoot the picture that is fully formed in your head? Greg: Correct. You might say this act of photographing becomes a way of embodying – and thus blending – a sense of subjective phenomenal experience with its objective counterpart. The actual process of photographing is usually the least of the three steps – one reason why we earlier discussed my sense that the camera is secondary. Shooting takes an average of 2-4 hours. I then proceed to the third step where I take all the photographic fragments and compose them on my computer in photoshop. In some ways this is my favourite part of the process. The final act of this step is to present this image back to my subject. The reaction at this stage is crucial to the survival of the image: if it works for my subject it gets added to the series, if it doesn’t work then we either move on or try again. I was amazed to hear that you are colour-blind. For this particular series, you spend thousands of hours working with Photoshop. Tell us a bit more about how the mathematical representation of colours has helped you to work as an artist dealing with colour-blindness. Greg: This could be a whole interview topic all its own. Being colour-blind, or chromatically challenged as I like to say, is similar to having Asperger’s in the sense that it is a genetically determined and thus innate aspect of who I am. My Asperger’s, and to a lesser extent my colour-blindness, have taught me that I cannot just ignore the very real limitations these condition place on me – both personally and socially – but they have also shown that “limitations” are not absolutes. I now believe that it is the very fact of Asperger’s that lets me see my social surroundings in a unique and revealing way. Similarly, I have found that although my colour sense makes it very difficult to ‘create’ colour and colour combinations from scratch, I can work with colour. Ever since you were 14 years old, you used to work in a darkroom. In 2006, you went back to school after deciding to become a full-time artist. Participating in a workshop with the Canadian nature photographer Freeman Patterson has changed your creative direction forever. Why? Greg: Freeman provided me with something I had been missing. Like most artists, I can cite numerous artists in my field who have influenced my work. For instance, in my teens Ansel Adams woke me up to the need for technical expertise both behind the camera and in the darkroom. Jerry Uelsmann showed me that photography was also capable of revealing the inner, phenomenal world, making it as ‘real’ as the strict representationalism of, say, an Adams. What Freeman brought to photography, to my conception of what photography can do, is a sense of humanity. Daniela Herold: Greg Klassen, thank you very much for sharing your thoughts with my readers. Greg: No, thank you, Daniela. This has been very stimulating for me not least because it has encouraged me to reevaluate many thoughts and ideas that have been influencing my work, in some cases nagging me at the edge of consciousness. Canadian artists Sarah Cowan and Connie Michele Morey have spent this last year in a mutual and collaborative journey that has included a joint drumming practice as well as “personal, philosophical and studio exchanges – that have resulted in the unfolding of a resonant body of work.” An inspiring exhibition for the month of January that put a smile on my face every time I walked through our gallery XChanges in Victoria, B.C. 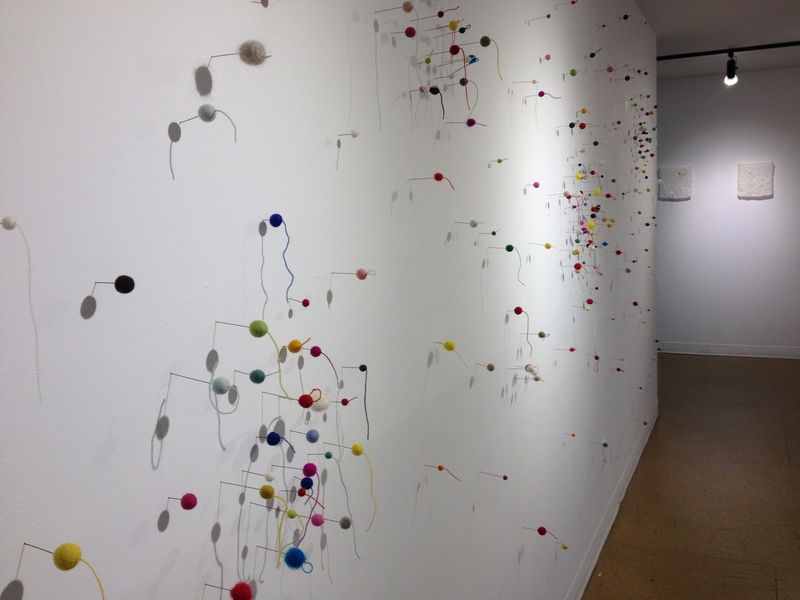 No matter how often I was passing by those hundreds of small felt balls of every colour and size pinned against the while gallery wall, I enjoyed seeing their grey shadows move from right to left, feeling light and inspired. ‘Quirky’, ‘magical’ and ‘fun’ come to mind, when looking at Sarah’s and Connie’s pieces of art – elaborate and intricate paper installations, delicate drawings or a little toy sheep, whose head and legs are sticking out of a ball of felt. 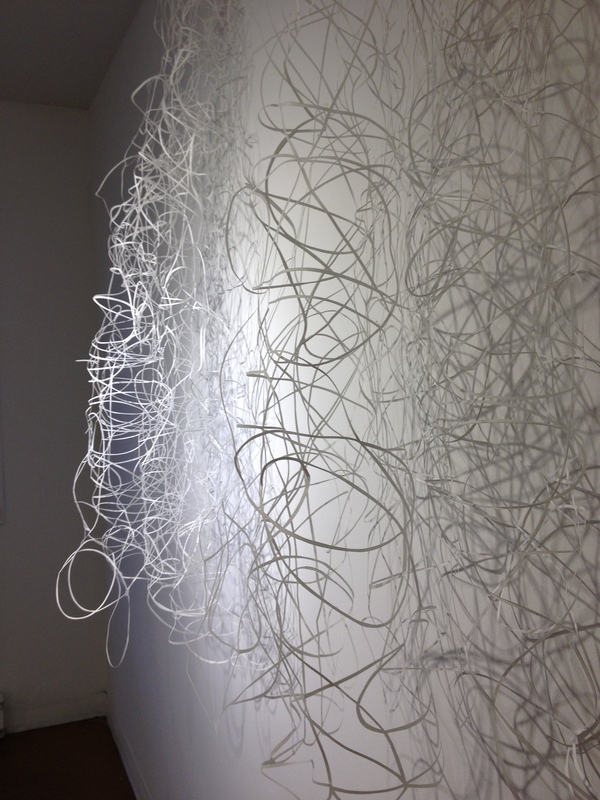 Connie and Sarah – What kind of work has your current show ‘Oscillatio’ been focussing on? 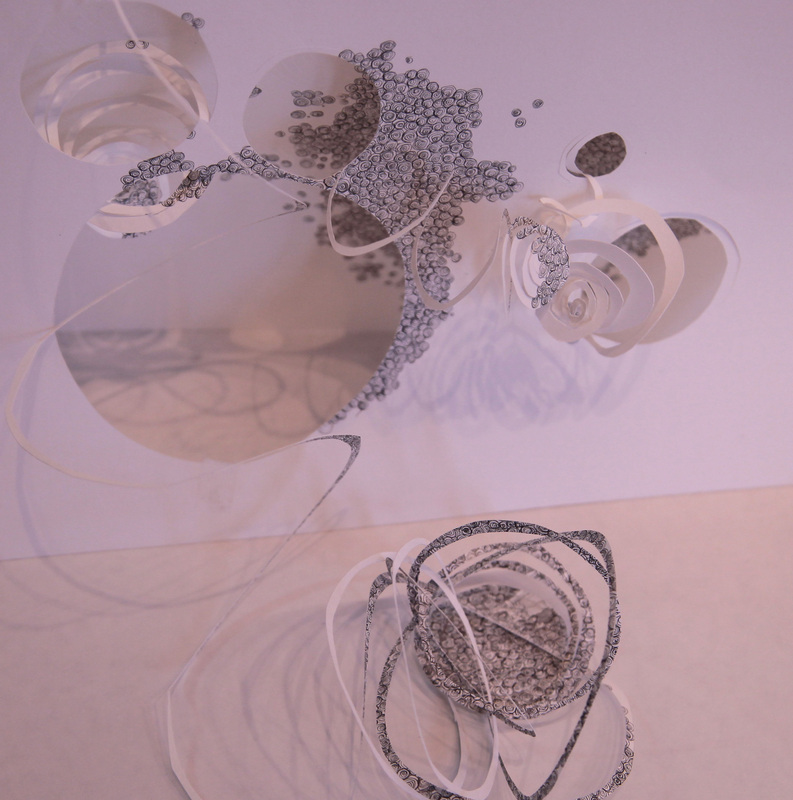 Connie and Sarah: Our show consists of installation and sculptural work that makes use of materials and techniques related to contemporary craft (paper, felt, thread, fabric, wood). The work centers on the theme Oscillatio. Where does the ‘Oscillatio’ come from? Connie and Sarah: It originates from the notion of Oscillation – a back and forth movement. It is the reverberation that the heart makes while beating, the back and forth movement of the tides, the vibration of a viola string or the sway of the movement of walking and dancing. When things oscillate they move around a center. Does that have any relevance in your work? Connie and Sarah: Indeed. Our work has developed out of an oscillation between ourselves, and our practices as artists. Ove the last 14 months, Sarah and I have engaged in a back and forth movement of sharing our practice and live experience. As a viewer, what qualities do you think make for an interesting piece of art? What piques your interest personally? Sarah: This is a hard question to answer. I don’t have a specific genre that I like exclusively. I am most intrigued with any work that makes me want to look at it more. Work that pulls me in and makes me ask questions, not so much about the process but more about what the artist is asking themselves and what it asks of me. I like work that makes me feel slightly uncomfortable, when I feel compelled to turn away but at the same time intensely drawn to it. And then, there is just beauty. Connie: I feel inspired when I look at a work of art that is both visceral and critically engaged, a work that invites you to look at the world from new perspectives. I appreciate work that engages an aesthetic experience in the viewer. What do you mean by aesthetic experience – the opposite of an anaesthetic, which functions to numb your senses? Connie (laughing): Yes, something that wakes up your senses and makes you feel alive. To produce a work of art that can wake up the body, soul and mind simultaneously takes great insight and trust in the creative process. Works that induce inspiration for making, thinking and moving are gifts to the world. Do you sometimes look at particularly inspiring work of art and have a strong visceral response? Connie: Absolutely – I literally want to jump, dance, speak, write or make in response to it. Annette Messager, Louise Bourgeois and Ann Hamilton are artists whose work has this kind of effect on me. Hiraki Sawa’s recent exhibition at AGGV also elicited a visceral and joyful response in me. I found it inspiring, full stop. Work that challenges me to think on a deep intuitive level and also elicits a visceral response is a catalyst for creative engagement with the world; art that offers that kind of experience is a gift. Being an artist can sometimes be really frustrating. What are the obstacles you’ve run into and how do you go about navigating around them? Sarah: The biggest obstacle I contend with is myself. I doubt myself all the time. You see, I don’t really think I am a very good artist so I need to keep working at it. I now know that it is what I need to do. Whether I am good or not doesn’t really come into it (but it’s lovely when things do work out!). A day or two away from the studio is very disconcerting for me now. Connie: Being an artist is a gift, an absolute pleasure. I know that there are limitations that make it challenging for people in general to make art; e.g. financial constraints that put limitations on the artist’s time, or instances when people struggle with developing ideas or trusting themselves as artists. However, I honestly don’t think of these things as limitations – they are important parts of the process of engaging with the world through making and they inform art practice in essential ways. Sarah: I agree – they provide openings for us to know ourselves better as artists. Connie: Sure, I would love more time to make art, but it is ok that I have to struggle for that time. As for the process of developing ideas and engaging with the process of making… truthfully, I have great trust in the process of making. It is a space where I can let things unfold on a deep intuitive level with joy and relatively little effort. The process of making art, like writing, is a process where I feel completely at home with myself. When you go into ‘work mode’, do you have a particular agenda or something in mind that you are hoping for? Connie: I think in a way I am always in ‘work mode’… even when I am teaching or driving a car, reading to my daughter, dancing or preparing breakfast I am in the process of making. I see the boundaries between different areas of my life as very fluid and open. Art is a way of engaging with the world for me. Art works are markers of that continuous process. Sarah: When I go into ‘work mode’ it’s usually materially based. I have an idea about creating or exploring with a material to see what I can come up with. Or, I see another artist’s work and it inspires me to try or play. I am never without my sketchbook and use it constantly to explore or just play. My legacy to my son will be my sketchbooks!!! Both of you have an interest in working with felt, paper and mixed media. Where did you get the idea for a collaborative exhibition? Sarah: Connie called me one day in 2013 and asked if I would be interested in putting in a proposal to Xchanges. We have a similar sympathy and sensibility in our art practice as well as our personal philosophy toward life. I admire so much Connie’s approach to her work; her dedication and commitment as well as her all out passion and creativity! Connie: We’ve often met in each other’s studios and talked about the points of intersection between our work and the ways that each of our practices has impacted each other. Although articulated through different means, our work shares certain commonalities in its intricacy, repetition, and focus on care-full processes that are in some ways obsessive. I’ve been inspired by Sarah’s work since an exhibition she had in 2012 at Xchanges. We were delighted when the jury accepted our application and we started drumming together and meeting on a monthly basis to share ideas, work and life experience. Connie, what have been your two favourite shows that you have done and why? Connie: I don’t know if I can speak of whole shows that are my favourite… this is a difficult question for me. Making art is significantly about the process for me. Sharing the work through an exhibition is important too, but more because it is an opportunity to exchange – and in this sense is really a process in itself. The finished work is less important than the processes of making it, sharing it and shifting perspectives through that sharing. It sounds like collaborating is integral to your process? Connie: Absolutely, and more so as time goes on. I’ve been fortunate to collaborate with Sarah and with other artists, writers, scientists, and philosophers to expand my thinking through making. 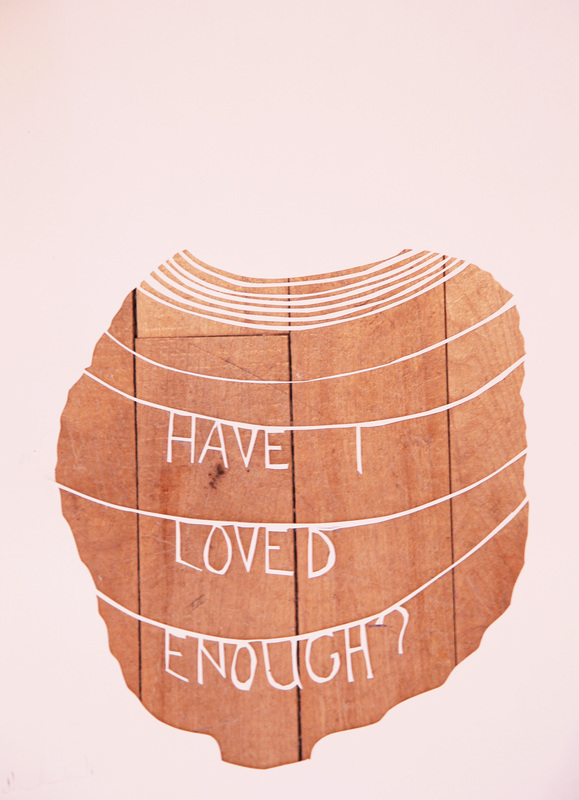 I don’t think of exhibitions as finished works, so this question is hard for me to answer. Sarah, what have been your two favourite shows that you have done and why? My favourite show was my graduation exhibition at the Vancouver Island School of Art in 2011. I converted one of the closets into a drawing using pen & ink, charcoal, wire, paint, thread, paper, photo-transfers, pins and other mixed media. The other show was at Xchanges where I took the idea of the closet, the contained space, the safe space, and built a free-standing closet drawing on the walls and ceiling. Both of these exhibitions were based on my long history of living with an eating disorder and trying to find my own space in the world. Connie: I think Oscillatio is the beginning of future collaborations. Sarah: Indeed. We will be showing together in another group exhibition in May, and have plans to collaborate for another show in November 2015. Connie and Sarah, thank you very much for sharing your thoughts with my readers. Sarah Cowan plays with the concept of connection/disconnection between her internal self and her relationship with the external world. The materials she uses are pen and ink drawings, text and thread, oil paint, paper cut work and now needle felted sculpture. 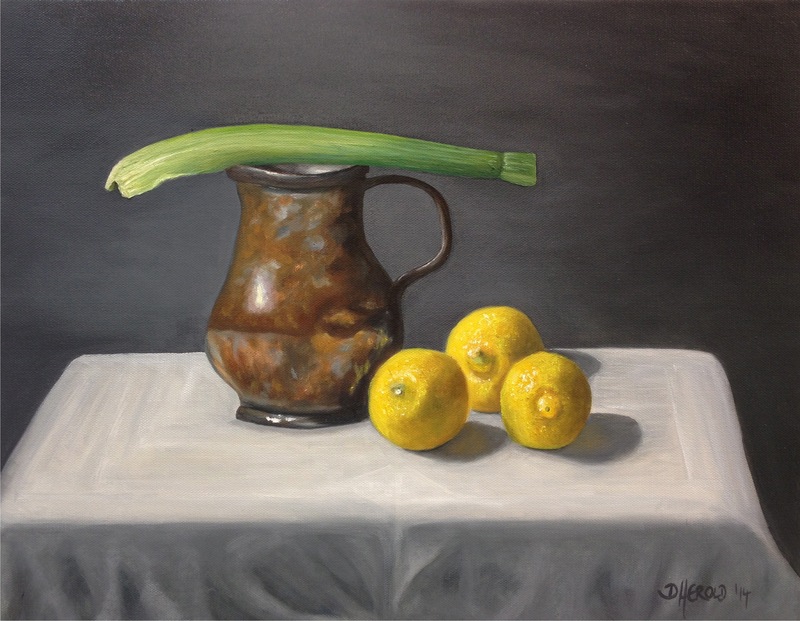 She graduated from the Vancouver Island School of Art in 2011 with a Diploma in Fine Arts and continues her art practice in association with Gallery 1580 as resident curator. Connie M. Morey is an artist, writer, teacher and practice-based researcher whose work is ecologically situated. Her current studio practice includes the permeable genres of installation, sculpture, contemporary craft, performance, ceramics, drawing, painting, artist’s books and critical-creative writing. She received her BFA (Visual Arts) from the University of Lethbridge in 1995, an M.Ed. 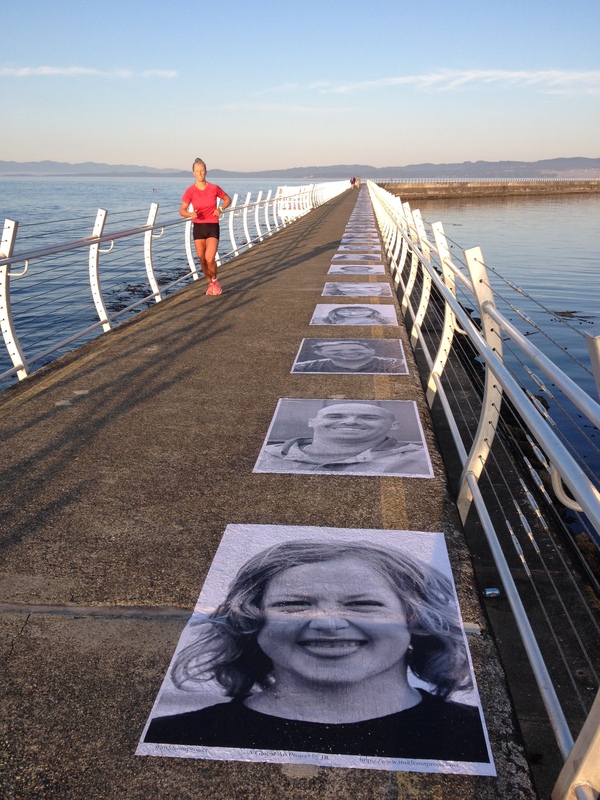 (Art Education) in 2007 and is currently a PhD Candidate at the University of Victoria. Photography is the language of light – a fine art that goes way beyond technical details. My artist colleague and long-term Xchanges Member Barry Herring uses his camera as a source material to start. The photographer from Victoria B.C. 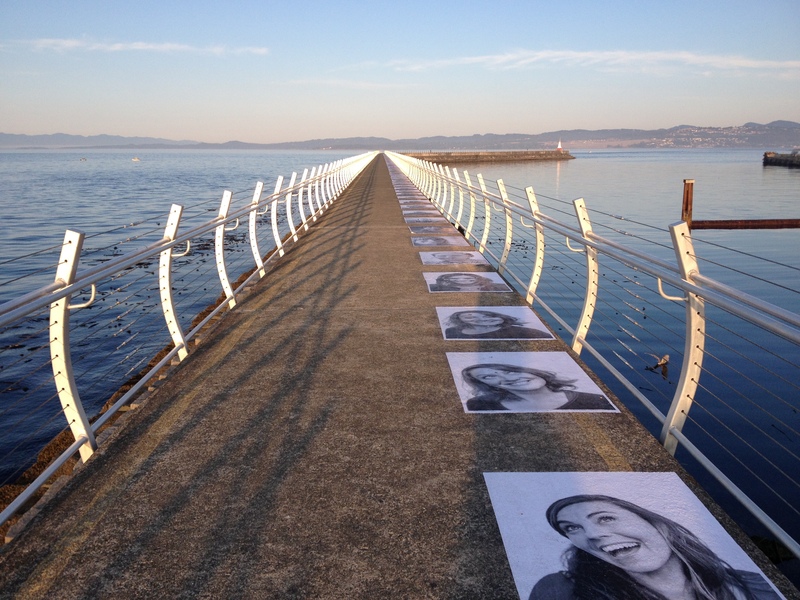 invites his viewers to wander in his images and find their own meaning. Herring has been working in a traditional black and white darkroom as well as in colour with digital techniques. Barry, you are a true lens-based visual artist – however your art is not an exact replication of what you see. Barry Herring: I don’t think we don’t need more replicas. The camera is a tool for me to find source material and a starting point to explore and have some fun. Are you not interested in just capturing a moment forever? Barry Herring: I want the viewer to initially be arrested and then invited or drawn into the image to start a personal and hopefully deeper exploration of the work, arriving at their own conclusions or telling their own stories of what they experience. Or as Emily Dickinson puts it: “Tell the truth, but tell it with a slant”? Barry Herring: Indeed. I try to find a balance in presenting enough ambiguity in the image to allow the viewer to wander in and find their own meaning, but not so much that the image becomes overly complicated and is ignored because it is not concrete enough. You have been taking photos for long time. How has the nature of photos changed in your opinion? Barry Herring: Taking pictures about 30 years ago used to be a big deal. Rolls of film used to be expensive, so we put a lot of thought into what we wanted to capture. Today, buying paper and film material for your camera has practically become an art form again. Barry Herring: Film photography has something magical about it – particularly when the image emerges from the chemicals on the tray. There’s nothing like it. I have no real preference as it varies with the project I am working on. You say that your approach starts from patient observation with a personal vision in mind. Barry Herring: A lot has to do with anticipation. In my art I am looking for something different, but it is all about knowing where to look. Where did you look when you went on an expedition to the Arctic for example? Barry Herring: Up North, where there are not trees, just landform, I was exploring ‘The Line’…. the line between weather and earth. I remember feeling totally immersed in nature, incredibly small and insignificant standing on a large piece of ice. Barry, would you share some details with my readers on how to do your amazing sponge technique? Barry Herring: I have been playing with developing prints using sponges or other tools to achieve unanticipated results. This is instead of putting them through a tray of developer fluid. 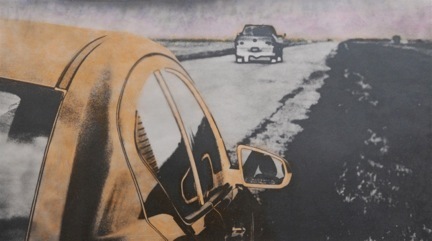 The resulting images are really lens-based monoprints as each one is unique and can’t be exactly reproduced. When combined with toning or hand colouring you get interesting results. Do you ever attend workshops on photography? I recently attended a week-long workshop put on by John Sexton who was an assistant to Ansel Adams and is recognized as one of the best traditional film photographers alive. He is a true master craftsman and it was inspiring to see how he worked with his cameras and in his darkroom. I realized that the type of photography that interested him was not at all similar to my focus. However the care in his approach to the craft and the desire to produce an image that inspires viewers is the same for both of us. Barry, which photographers have inspired you? Barry Herring, thank you for sharing your thoughts with my readers.